We set targets for attendance, aiming for all children to have 100% attendance to ensure they receive every opportunity to reach their full potential. Parents are legally responsible to ensure their child is at school every day. Children must attend school every day, unless they are ill. Missing school for any other reason may affect their educational and social development. If a child is not in school, parents are required to phone the school office to explain the reason for their child's absence. If we do not receive a call from a parent, we will then endeavour to contact the parent ourselves. Following a period of absence, written confirmation is then needed explaining the reason for the absence on the child's return to school. Where appropriate, parents must also provide a copy of any documentation associated with the absence, such as a hospital letter of appointment card. Parents do not have the automatic right to withdraw their child from school for a holiday. In order to follow legislation, parents must apply for permission in advance. Applications are dealt with on an individual basis. Punctuality is a very important factor in your child's education, at both ends of the day. Lateness can lead to your child missing the start of a lesson and this can be very unsettling for both your child as well as the class. Children who are late to be collected at the end of the day can become upset. We understand that sometimes parents can be unavoidably detained, however a phone call to the office can prevent children becoming distressed. Persistent late arrival, late collection or poor attendance will be discussed with the Educational Welfare Service, and will be monitored. 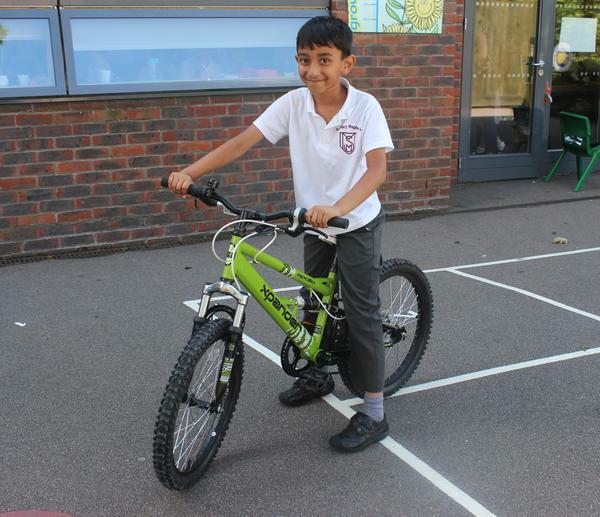 Each term, all children who have achieved 98% attendance or more are entered into a draw to win a bike. Our summer term winner, with an attendance record of 99% was Terrin in 3S.